Co-teaching can deepen teacher collaboration, enhance teachers’ professional satisfaction, and promote adoption of innovative instructional practices. In this article, we describe a novel co-teaching arrangement created and successfully implemented by the authors in Advanced Placement (AP) Chemistry and AP Physics 1 classes throughout an entire school year. Because we considered this arrangement to be tremendously helpful for both ourselves and our students, we believe that other pairs of teachers interested in close collaboration can benefit from learning about our work and adapting it to their own situations. We explain our motivation for creating this arrangement, detail the routines and strategies we developed during the year, provide specific examples of instructional practices we improved, discuss student and teacher outcomes, and offer guidance for others who might consider such an arrangement in similar or different teaching contexts. In the 2016–2017 school year, we both worked at East Boston High School (EBHS), a large, urban public school in the Boston Public Schools system. Shannon was in her third year of teaching and Kristen was in her seventeenth year of teaching. Shannon had taught AP Physics 1 for one year, while Kristen had been teaching AP Chemistry for fourteen years. We had worked very closely together in the past when we both taught honors chemistry and freshman physics. In these collaborations, each of us had a section of the course and we co-designed lessons, teaching the same lesson on the same day. Through this process we were able to reflect on each lesson, review student data, and in general think more deeply about our pedagogy than when we designed lessons alone. Because we had experienced the benefits of our collaboration, we both realized that we wanted a close collaborator for our AP courses. As we explored different possibilities for close collaboration we discovered a significant body of educational research that shows a connection between increased teacher collaboration and greater student achievement. Most relevant to our context were two studies in large urban school districts that reported increasing teacher collaboration around instructional planning improved student’s math achievement (Ronfeldt, Farmer, S. O., & McQueen, K., 2015; Goddard, Goddard & Tschannen-Moran, 2007). Knowing that educational research supported our own positive experiences with close collaboration further motivated us to find a way to make it happen in our AP classes. We knew there would only be one section of each AP science course at EBHS for the foreseeable future, so our previous mode of collaboration would not be possible. We also knew from experience that non-school peers make great thought partners, but more could be gained from working with someone in our building. A collaboration within the building was much easier to manage and allowed for more opportunities to examine student data and reflect on the success of each lesson, as both classes had the same schedule, student population, and administrative constraints. Each of us had strong backgrounds in the other’s subject and felt capable of teaching both AP Chemistry and AP Physics 1. Additionally, both courses were historically offered during the same block. With this in mind we developed a plan to co-teach these courses in a way that was suitable to our context. After considering multiple options for collaboration and co-teaching, we decided that we would like to co-teach the courses such that we each taught part of each course each week. In a typical week, Kristen would teach three classes of AP Chemistry and two classes of AP Physics 1, while Shannon did the reverse. We presented a proposal of our “split co-teaching” model to our administration. After discussion, the administration approved our proposal with the stipulations that we would both attend an Advanced Placement Summer Institute for our new course, outline our co-teaching model clearly to parents and students, collect feedback from students during the year to assess their feelings towards the model, and stop co-teaching if it was negatively impacting student achievement in the courses. Our co-teaching model differed significantly from other more standard forms of co-teaching in that we would not both be in the classroom at the same time. We had to know exactly what had happened in each class and where instruction left off every day so that we could be ready to step in and lead the class the following day. We decided to meet daily during our prep period to debrief each lesson and solidify the next day’s lessons. We also met weekly to sketch out the upcoming week’s lessons, reflect more deeply on any particular issue we had the week before, and think about the long-term plans for each course. We also agreed on a grading system we used for both courses. All of our records were shared through our school’s Student Information System, so any student in either course could talk to either of us about their grades. In order to simplify some of the logistics during our first year using this model, we mostly split the grading by course with Shannon grading the AP Physics work and Kristen grading the AP Chemistry work. However, we were particularly interested in student performance on lab reports and divided the grading for this component of each course. For each lab in both classes, Shannon graded the lab reports of half of the students and Kristen graded the reports written by the other half of the students. This allowed us to have much deeper discussions about student understanding of the lab. We agreed we would want to split more of the grading in the future, particularly of tests and problem sets, as these assignments give specific insight into individual student understanding. After reflecting on our year of co-teaching, both of us agreed that it had pushed us forward pedagogically and provided additional support in teaching these challenging courses. Having a thought partner allowed us to think critically about each lesson we designed and analyze student data more effectively. Being accountable to another person pushed us to design materials that hit content objectives more directly. As we designed each lesson, we had to explain to someone else how each activity was furthering student progress towards mastery of the AP standards. In this climb forward for our curricula, having a close collaborator provided support in terms of coping with the obstacles—such as testing a new activity, helping with lab set-up, or trying to determine the missing link in student understanding—that come from teaching a fast-paced, rigorous course. Most of these benefits are not unique to this particular model of co-teaching; the split co-teaching model we developed simply allowed us to realize these benefits since, in our context, other models of co-teaching were not possible. Furthermore, having a co-teacher allowed teacher absences to cause less disruption for each course. When one of us was absent the other would help cover the class. We would help students get started on an activity and answer student questions if the other person was out. This meant there was less wasted time in each course. One specific area we chose to focus on was helping students to draw meaningful conclusions from laboratory activities that connected their results to the underlying scientific concepts. Both of us knew we had struggled to guide students effectively in this area in the past, and we were frustrated that often it seemed like students did not understand the point of doing an experiment or how it connected to the concepts we were learning in class. Their conclusion sections of their lab reports were often a bland statement like “I accomplished the goal of the lab” or a comment about error, such as “My percent error was 12%, which was pretty good.” Other students made statements of scientific principle with no connection to the experimental data, as in “This experiment was about limiting reactants, which is the reactant that runs out in a chemical reaction,” or even a personal opinion, such as “This lab was very colorful and I liked it a lot.” We had previously tried whole class post-lab discussions and various small group post-lab activities but had found them insufficiently effective at helping students write meaningful conclusions. Kristen suggested using a conclusion-writing scaffold—which had been recommended by another AP Physics 1 teacher—along with accompanying class discussion for every experiment throughout the year. The purpose of the scaffold and the accompanying class discussion, collectively called “Concluding Connections,” was to support students in clearly stating the two or three most important takeaways from an experiment and to use their results as well as accepted scientific principles as justifications for those concluding statements. The Concluding Connections graphic organizer helps students to build strong conclusions (see example below). These are filled out for you. You just need to finish the justifications. A graph of the volume of a sphere vs. the radius of a sphere is not linear. A graph of the volume of a sphere vs. the radius of a sphere cubed is linear. The slope of the line of best fit of a graph of the volume of a sphere vs. the radius of a sphere cubed is equal to 4/3 𝝅. We decided to use Concluding Connections throughout the year, with incrementally less scaffolding as the year progressed. We agreed this decision would result in more time spent on post-lab discussion in class, meaning we would have to trim time spent on other activities. We also agreed preparing the instructional materials and deciding on how to guide students during the post-lab discussion for each experiment would be a collaborative effort and thus would require significant preparation time for us both. We found this process of working together to succinctly state what we wanted students to take away from each experiment and how we expected them to arrive at those conclusions to be both challenging and useful. Concluding Connections not only helped our students make connections between the lab and the content in the course; it helped us guide students’ thinking during the experiment itself in order to help them reach the conclusions we wanted them to reach. During the first term, we provided each student with the graphic organizer containing the concluding statements in the left column and the beginning of an appropriate justification in the right column, as shown in the example in Table 2. We would review the provided concluding statements in the post-lab class discussion and talk about what would qualify as supporting evidence, then show slides containing the suggested supporting evidence and allow them to summarize that evidence as it applied to their own results in their lab report. In the second term, we provided students with the blank graphic organizer, then had an abbreviated discussion with less detailed slides. In the third term, we discussed each experiment very briefly as a whole class without slides and provided students with a blank graphic organizer to fill out in small groups. 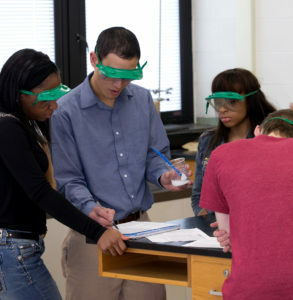 In all terms, students were expected to use the Concluding Connections organizer to write the conclusion section of their lab report about each experiment. Over the course of the year, our students’ written conclusions improved significantly, even as we reduced the scaffolding provided. We also found that the routine of focusing on drawing conclusions based on lab results and conceptual understanding helped students to think of experiments more as meaningful learning exercises rather than simply fun and interesting ways to spend class time followed by a dreaded lab report. They had animated discussions about the meaning of their results in class and would refer back to experiments later on when trying to solve pencil and paper problems. We both plan to continue to use this instructional strategy going forward. Additionally, having these discussions around student understanding through lab experiments made us think about other aspects of how we conduct and assess lab reports. We were able to use this as a launching point for making other changes to our pedagogy. Another area we focused on in both classes throughout the year was our process for test corrections. We wanted students to see tests as a learning experience. In previous years in both classes, students had been allowed to correct answers to multiple choice and free response questions and given a percentage of the credit back if they had fully explained their errors and the correct answer. Although we found that a few students completed this successfully and learned from the experience, many were overwhelmed and demoralized by their initially low scores. We started off this year using this model and quickly started discussing how we could make it better. We decided that we wanted to spend class time reviewing the exams. As all of our test questions were released AP questions or slightly modified versions of AP questions, we felt it was worth investing the time in class to go over these questions. When students seemed more confident in addressing their own errors in multiple choice questions, we decided to switch to focus class time on free response questions. In order to give students ownership of their test corrections and to involve them in the process, we decided to have students present the problems to the class and be assigned to ask each other questions. After we had graded all of the exams, we selected students that had some of the top scoring answers to present their answers to the class. We would email or speak directly with these students to see if they felt comfortable presenting their answers and address any questions they had about the free response question before they presented. As an incentive, students were given a small amount of extra credit for presenting their responses. During the presentations, each student in the class was assigned to ask a question about a particular part of one free response problem. We chose which students would ask questions about which parts of the test by examining their responses and selecting the problem based on where we felt they had the most to gain and where they would be able to ask a question that could help the rest of the class. We gave students some sentence starters to help them formulate questions and asked students to make the questions meaningful and specific. Students were given a small amount of class credit for asking their question. Students were instructed to direct their questions to the student presenter and not to us. We only intervened during the presentations if the student presenter was unable to answer the question or had made a scientific error that the rest of the class didn’t point out. Both of us were surprised and impressed with how this turned the conversation from teacher-centered to student-centered. Students stopped looking at us for answers and instead turned to their classmates. If a student started to ask us a question they would often realize their error and turn to the student presenter. This also seemed to break down a barrier to asking questions, as many students would ask questions about parts of the exam that they had not been assigned to ask about. The discussions were often very rich, addressing student misconceptions and critical math errors. Overall, we were very pleased with the implementation of this test correction procedure. We observed that this new correction format allowed many more students to feel successful when correcting their tests. It also helped students to view low test scores, which were quite common because of the challenging nature of released AP test questions, as more of a learning opportunity rather than proof of failure. The number of students turning in test corrections and the amount of the test that they had corrected increased greatly. The student feedback was also very positive for this procedure. They felt more motivated to finish their test corrections in the days following our in-class discussion. Students also felt it helped them gain a better understanding of the content on the exam while boosting their collective morale and contributing to a positive class culture. It must be noted that this was a very time-consuming process. It would often take an entire class period to review the free response section of an exam. Additionally, it took a great deal of prep work from us, as we had to examine each test very closely to determine which students to ask to present and which questions to assign each student. Despite these drawbacks, the increase in student comprehension and the empowerment the students gained from this procedure more than justified the amount of prep work and class time we needed to devote to it. We absolutely plan to continue to use this procedure—it is worth the time in our opinion. We had an extremely positive experience using this model of co-teaching over the course of a year, but it does have potential drawbacks and hurdles that anyone considering implementing it should consider carefully. First of all, the amount of time required for the close collaboration necessary is quite significant. We spent seven or eight hours per week working together in person and several additional hours working asynchronously. If both of us had not been able to make this time commitment and adjust our schedules to accommodate each other, the co-teaching arrangement would not have worked as well. Second, we had to negotiate and come to agreement on classroom routines, grading policies, and logistical responsibilities (e.g., submitting attendance, grading student work, making copies). We had to be organized and detail oriented in order to make sure that all of the daily tasks associated with instruction were attended to in both classes. For these reasons, we would not recommend this arrangement to a pair of teachers who had not previously worked together very closely and collaboratively in other contexts. Because we had worked together on instructional planning for other courses for several years, we knew that we had similar ways of thinking about teaching and similar levels of commitment to our teaching. Most importantly, we knew that we enjoyed working together and spending a lot of time together. Another potential concern is that this co-teaching arrangement could be confusing to parents or other staff members at the school because it is so novel. In order to try to educate parents about the arrangement we wrote students and parents an introductory letter describing the arrangement and our rationale for choosing it at the beginning of the course. We also described it to parents at our September open house event. Parental involvement at our school is generally pretty low so we are not surprised that we did not encounter any significant resistance or expressed uncertainty from parents, but in another school context where parents are more involved and empowered that would certainly be a possibility. In hindsight, we wish we had been more proactive about communicating our arrangement to the guidance department and the office staff because there was sometimes administrative confusion that would have been nice to avoid, but the consequences of this confusion were minor and short-lived. This model of split co-teaching could be implemented in other contexts as well. Naturally this model could be applied to other subjects and grade levels; the teaching arrangement was not tied to the course context. So, for example, two math teachers could split co-teach an algebra I and an algebra II class if they wanted to work on aligning curricula in the two classes. A pair of teachers with different content specialties could split co-teach a course that integrated their areas of expertise (e.g., a history teacher and English teacher co-teaching a humanities course or a math teacher and a physics teacher co-teaching a mechanical engineering course) to two different sections, alternating days teaching each section. It is worth noting that our students were academically motivated high school juniors and seniors; we conjecture that younger, less mature or less motivated students would struggle more with adjusting to this split co-teaching model and might need more time to develop relationships with each teacher before switching each day began. The increase in student comprehension and the empowerment the students gained more than justified the amount of prep work and class time. The split co-teaching model we designed and implemented in AP Chemistry and AP Physics was very successful, and we would absolutely do it again, given the opportunity. We achieved our principal goal: to critically evaluate and improve our instructional and assessment practices and curriculum planning. Our students were overwhelmingly positive about their experiences as learners with two co-teachers. This model requires a large investment of time and energy and close daily collaboration between teachers. We encourage other pairs of teachers to consider implementing this model if they have a strong working relationship and are struggling to find ways to collaborate closely in order to move their practice forward . Also, we invite anyone interested in learning more about this co-teaching model to contact us. 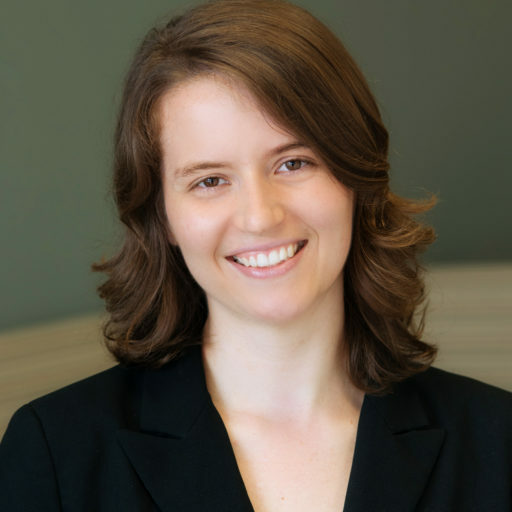 Shannon Morey, a 2015 Knowles Teaching Fellow, is a physics and robotics teacher at Abbott Lawrence Academy in Lawrence, Massachusetts. She previously worked as a physics and chemistry teacher at East Boston High School and is a member of the leadership team for ComSciCon, a national workshop for graduate students interested in science communication. 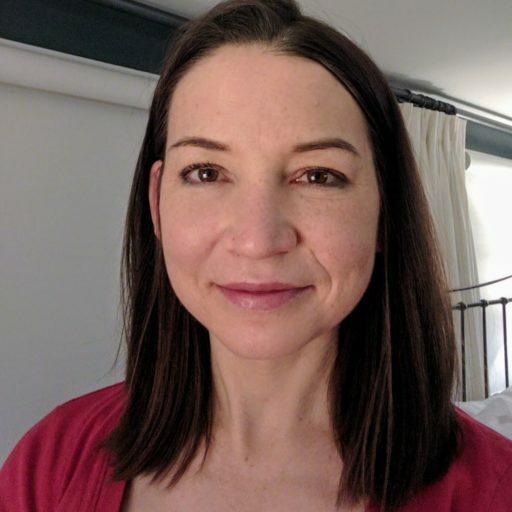 She is also the director of education for BiteScis, which generates lesson plans that integrate current science research by creating teacher-graduate student partnerships. Reach Shannon at shannon.morey@knowlesteachers.org. Goddard, Y., Goddard, R. D., & Tschannen-Moran, M. (2007). A theoretical and empirical investigation of teacher collaboration for school improvement and student achievement in public elementary schools. Teachers College Record, 109(4), 877–896. Ronfeldt, M., Farmer, S. O., McQueen, K. & Grissom, J. A. (2015). Teacher collaboration in instructional teams and student achievement. American Educational Research Journal, 52(3), 475–514. Cacciatore, K. & Morey, S. (2017). A novel co-teaching model to support student and teacher growth. Kaleidoscope: Educator Voices and Perspectives, 4(1), 14–19.